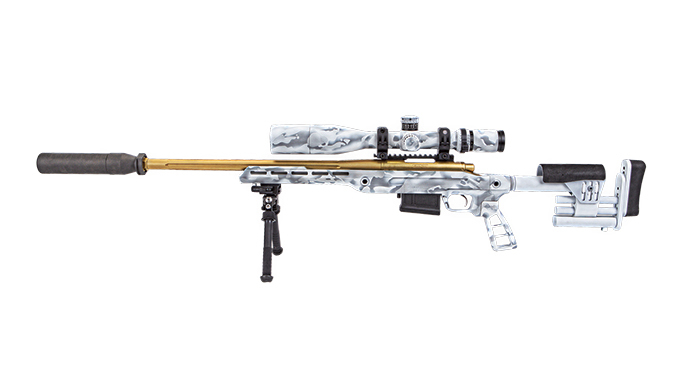 Featuring the ORIAS chassis system from Mega Arms and Killer Innovations, the Model 700 Stainless 5R rifle is a custom build for the ages. The XLR Industries Xtreme buttstock is user adjustable for proper fitting. The Burris XTR II 4-20x50mm scope, with its G2B Mil-Dot reticle, worked well in low light. Sig Sauer’s Micro-Brake reduces muzzle flip and felt recoil and is a quick-attachment mount for the SRD762Ti-QD suppressor. The ORIAS allows for the attachment of AR-15-compatible buttstocks and grips. 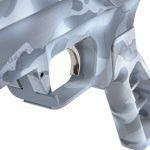 American Rifle Company scope rings hold the scope firmly without marring or indenting it under heavy recoil. 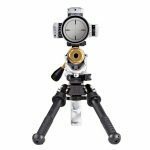 The Seekins Precision 20-MOA scope base helps the scope’s elevation reach out farther. An oversized Rainier Manufacturing bolt knob allows for easier bolt manipulations. 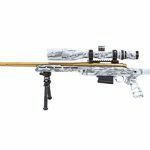 The ORIAS chassis system allows for box magazine feeding, easier shooter position adjustments and plenty of customization. 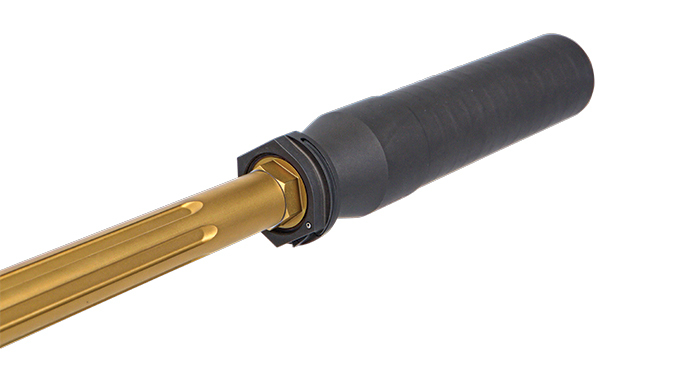 Sig Sauer’s SRD762Ti-QD suppressor is made of Grade 5 titanium and weighs only 15.8 ounces. 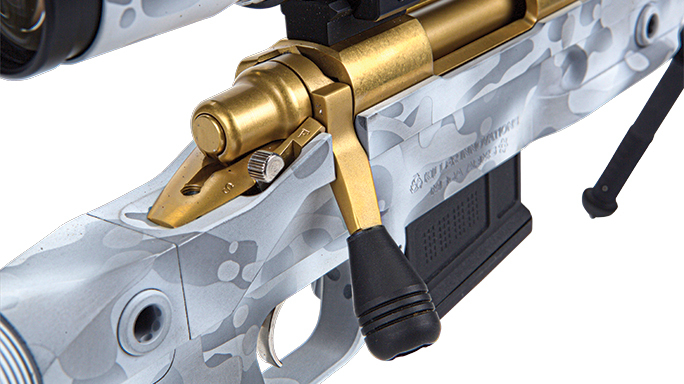 Timney’s nickel-plated drop-in Calvin Elite trigger is configured for an 8-ounce trigger pull. The aluminum Tyrant Designs Nexus grip is actually lighter than many polymer grips. Every once in a while, certain inventions can transcend time. They become instant classics that persevere and remain popular over decades, even a century. 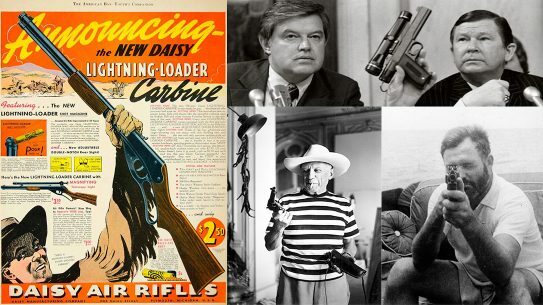 Take for instance the ’57 Chevy Bel Air in your neighbor’s garage, the Converse Chuck Taylors on your feet, even the 1911 pistol in your safe. 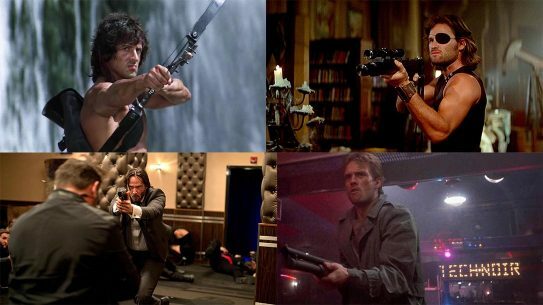 These are all classics that never seem to go out of style. 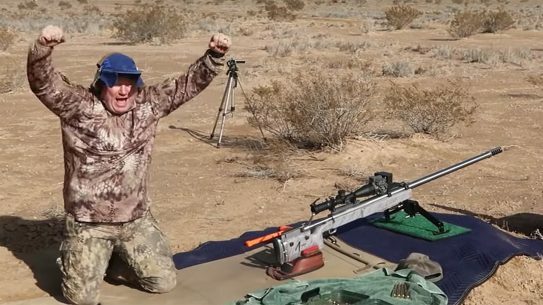 You can say the same about what might arguably be the most popular bolt-action precision long gun made in the past 50-plus years. Yes, as great as the off-the-shelf 700 is, it leaves room for improvement. The 700 is a mass-produced rifle, which means that innovative minds will always find ways to improve it. 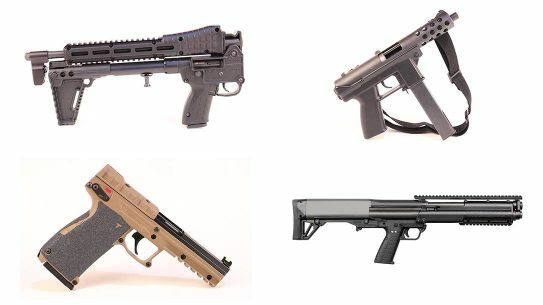 Like other popular firearms, nearly every 700 part has an “improved” aftermarket equivalent. As strange as it might sound, you can probably build a Remington Model 700 without actually using any part from Remington. With so many possibilities, where does one start? That simple question spawned this very build. 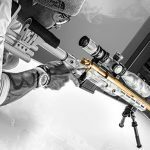 As with any rifle build, you start by defining the intended use, desired performance characteristics, budget and so forth. 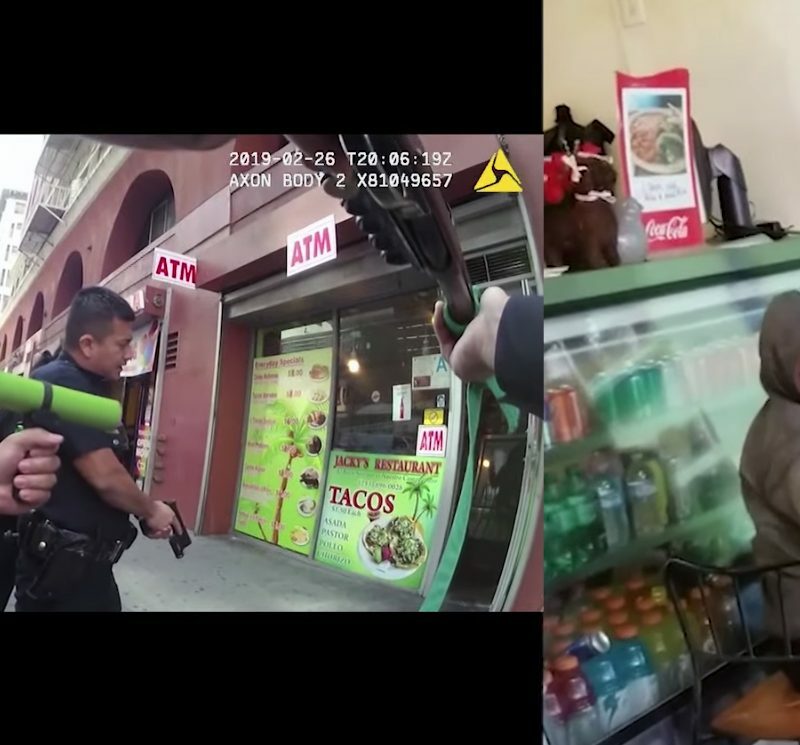 The initial idea was to build a rifle, with a modest budget in mind, that can be used for recreational shooting and, if need be, mid-range defensive purposes in the tight urban spaces we live in. 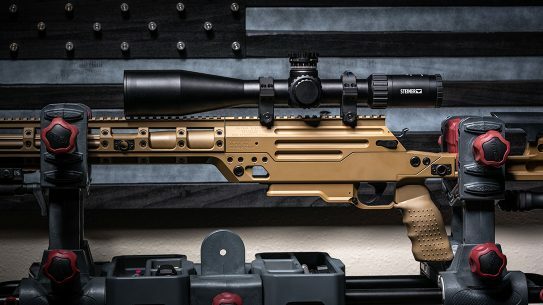 Because the sky is the limit when building a custom gun, it was decided that modifying an off-the-shelf rifle would net the desired results without breaking the bank. 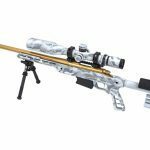 Offered by shooting-sports product distributor AcuSport, the Remington Model 700 Stainless 5R Mil-Spec (#9663) chambered in .308 Winchester is known as one of the best-shooting factory-configured 700s that Remington produces. 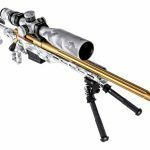 The 24-inch-long stainless-steel 5R-rifled barrel is derived from the U.S. Army’s M24 SWS sniper rifle, which is also based on the Model 700. The rifle gets its name from its uniquely rifled barrel. The barrel’s right-hand twist rifling features five radial lands and grooves, which are said to help reduce fouling. It is also claimed that this type of rifling allows for less bullet deformation and does not cut sharp corners into the jacket, creating a cleaner-shooting gun. It should be noted that there is some debate about whether 5R rifling makes a clear-cut difference in accuracy. Considering our accuracy needs as well as budget, the Model 700 Stainless 5R Mil-Spec in .308 Win proved a suitable host for the build. The 5R’s barrel is made of 416R stainless steel and has a twist rate of 11.25 inches. We took the barrel to our gunsmith at Rainier Manufacturing for some custom work. Rainier Manufacturing cut the barrel down from its stock length of 24 inches to 20 inches, to account for our intended use. 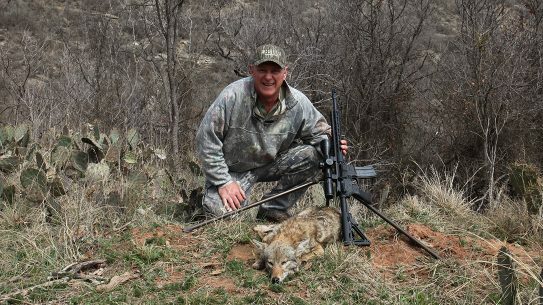 Contrary to popular belief, our gunsmith told us that a shorter barrel on our precision gun would be to our benefit, as .308 Win burns in less than 18 inches with no loss in bullet velocity. Lopping off 4 inches of barrel also made it lighter and stiffer, and helped create less sound-suppressor sag. 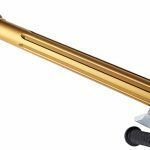 Does shortening a barrel really make it stiffer? Imagine trying to break two different-length pencils: One is long and brand-new and the other has been sharpened down until it’s almost a stub. Get the picture? The barrel was also fluted to cut more weight and allow the weapon to cool faster. Debate has raged for some time on whether fluting creates a stiffer barrel, but, as we understand it, no definitive answer has surfaced. 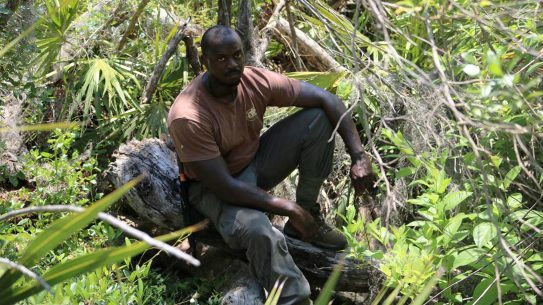 It’s also no accident that the work aids in the weapon’s maneuverability in confined spaces. 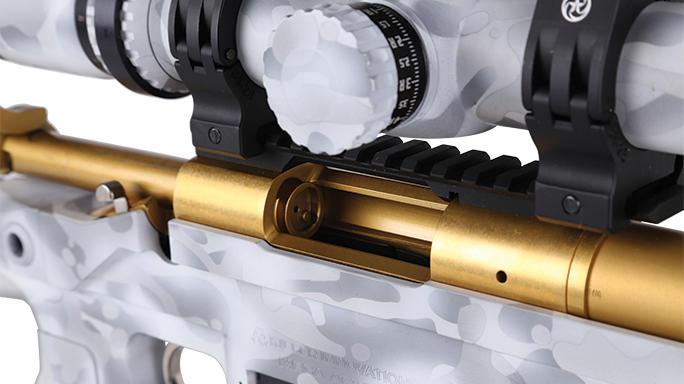 The barrel may be the heart of this rifle, but its chassis is its foundation. We quickly realized that as nice as the 5R’s standard HS Precision stock is, we wanted to upgrade it to a full-featured chassis system that would allow for box magazine feeding, easier shooter position adjustments and further customization. This is where the ORIAS chassis, Mega Arms and Killer Innovations’ collaborative effort enters the fray. 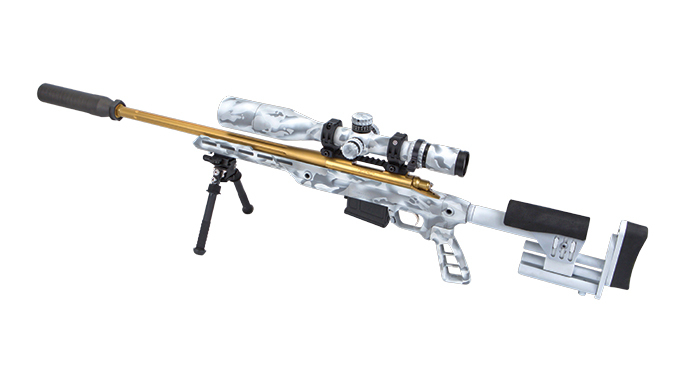 The ORIAS is built from 7075-T651 billet aluminum and compatible with Remington 700 short-action receivers. Because 7075-T651 has a high strength-to-density ratio and an ultimate tensile strength of 83,000 psi, the ORIAS can be milled thinner to shave weight while retaining its overall strength. What you are left with is an extremely lightweight yet strong product. Its removable rear trunnion is compatible with all AR-style buffer tubes and buttstocks, allowing for great flexibility and ease of change if desired. It also accepts AR-style pistol grips for even more customization choices. The ORIAS is available in both M-LOK and KeyMod variations; the one featured here is the former. 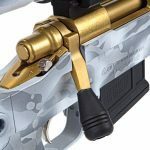 The chassis has several QD inserts smartly placed for convenient sling mounting and features an ambidextrous paddle-type magazine release that performs smoothly and flawlessly. The Orias is compatible with both Accuracy International and Magpul PMAG 7.62 AC short-action-style box magazines. An optional quick-detach night-vision mount is available for nocturnal shooters. Mega Arms and Killer Innovations claim this chassis is “possibly the most advanced chassis system available.” This is mainly because the ORIAS has a self-adjusting recoil lug locking system that eliminates the need for bedding. 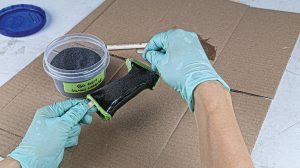 With no bedding required, there are several positives: The action is extremely easy to remove for cleaning or maintenance, it reduces maintenance costs and it can be reinstalled without any shift in zero. Let’s address the gold elephant in the room. 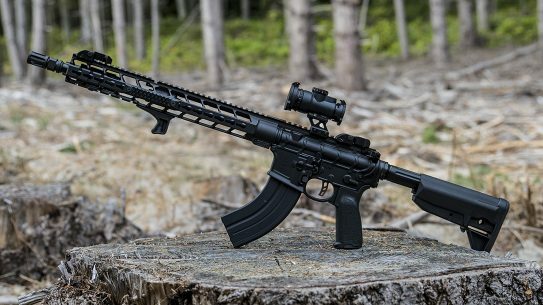 From the outset, we wanted this rifle to be durable, able to withstand a harsh urban environment with its concrete, sharp corners and, in a worst-case scenario, gritty debris. Why not do it with some flair? 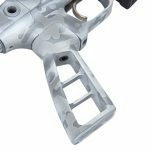 Enter the Remington barreled action in a titanium nitride (TiN) coating. TiN coating isn’t just for looks: It’s an extremely hard ceramic material that provides a scratch-, wear-, corrosion- and chemical-resistant surface. Its infrared reflectivity properties reflect in a similar spectrum as the element gold, which is why it gives off its yellowish color—and a certain amount of bling factor. You might have come across TiN on drill bits, as it allows them to last longer and drill more smoothly than regular bits. 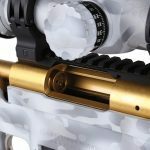 TiN coatings aren’t new to the firearms world: We have become accustomed to seeing TiN-coated pistol barrels, bolt carrier groups and other assorted gun parts. But we’ve never seen an entire rifle barrel and action TiN-coated until now. This build’s barrel and action were sent to the folks over at Titanium Gun, one of the few outfits capable of TiN coating barrels 20-inches and over, for its TiN coating service. 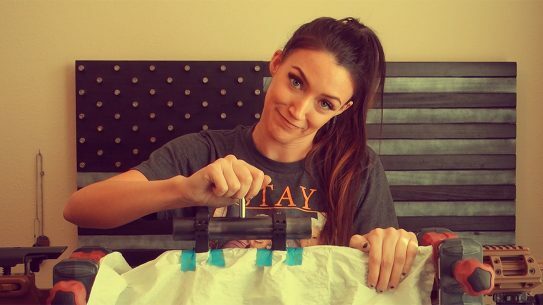 We did it partly for the practical purposes, but mostly just for the hell of it. 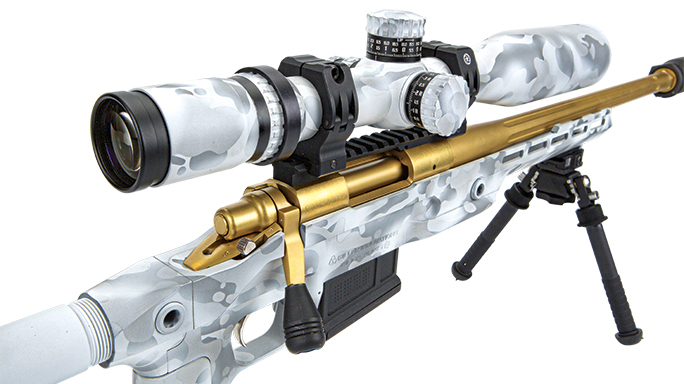 A gold-colored, 20-inch barrel (plus its action) definitely stands out in a crowd. Admittedly, so much gold surface area isn’t the best if we wanted to blend into the surroundings, but there’s always spray paint for that. Although the barrel and action were almost untouched, other than the TiN coating, we did install a host of upgrade parts to help further push the build. Starting with the trigger, we swapped out the stock unit with a nickel-plated Timney Calvin Elite Remington Model 700 520-CE-16 configured for an 8-ounce trigger pull. 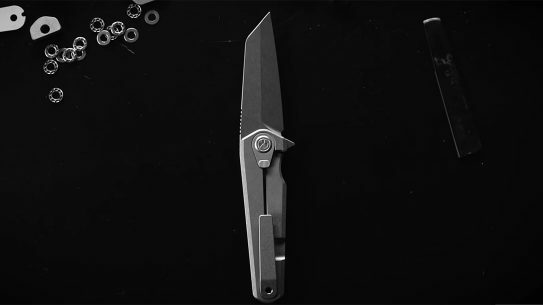 The Timney is a self-contained drop-in trigger that features a double-sear design. A large aftermarket Rainier Manufacturing bolt knob was the last piece of the puzzle for the action. 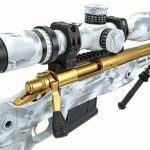 A precision rifle is only as good as its glass and the mount and base it sits on. From the receiver up, we added a Seekins Precision scope base with a built-in 20 MOA of elevation. The additional elevation allows you to maximize the scope’s elevation adjustment to stretch to even farther ranges. 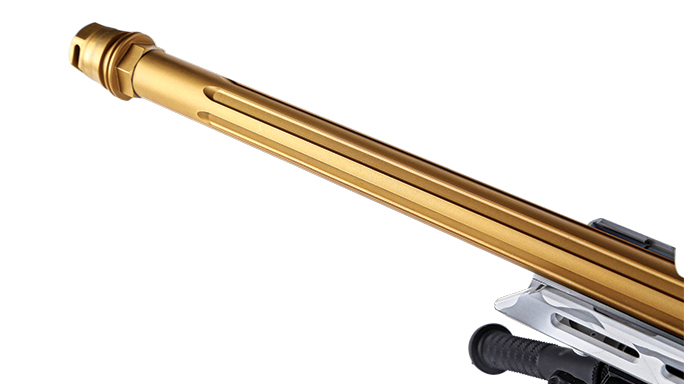 Its continuous Picatinny rail is machined from aluminum with a durable Type III Class 2 hardcoat anodized finish. Sitting on top of the scope base are a set of American Rifle Company M10 Scope Rings. 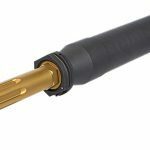 These hearty yet lightweight M10 Rings are designed to hold the scope firmly without marring or indenting it, even under the heaviest recoil. 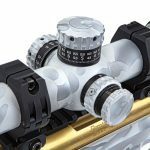 The rings are uniquely split to maintain reticle alignment during scope installation. 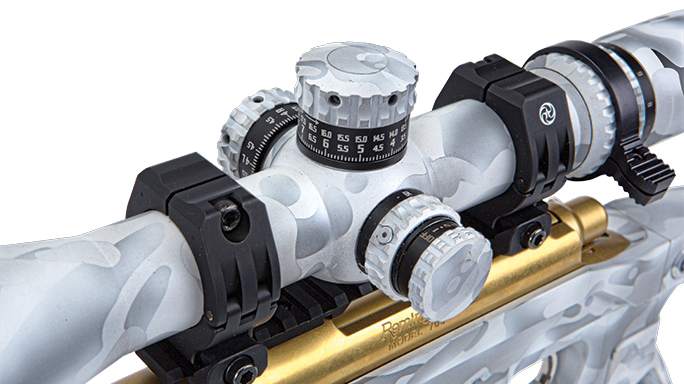 Optic-wise, we got ahold of a Burris XTR II 4-20x50mm riflescope with a G2B Mil-Dot reticle. For its retail price of just a lick over $1,300, this first-focal-plane scope delivers very well in target resolution, contrast and low-light performance. Its 34mm body encases hand-fitted internals that are triple-spring-tensioned to withstand even severe recoil. Its zero-click stop-adjustment knobs allow you to quickly return to your original settings without having to count clicks. Helping us get from 4x to 20x magnification quickly and easily is a CNC-machined aluminum scope lever from 3Gun Stuff. 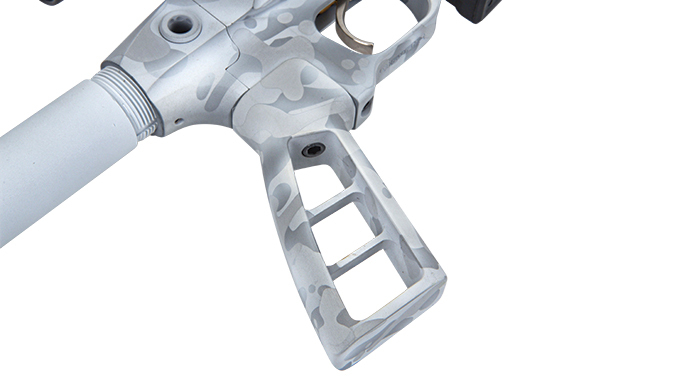 For the grip, we installed a Tyrant Designs Nexus Grip that is machined out of a solid piece of 7075 aluminum. Don’t think it’s heavy because it’s made from metal: The Nexus weighs only 4.6 ounces and is actually lighter than many polymer grips. At the rear of the rifle is an XLR Industries Xtreme buttstock. It features two support arms for increased strength and rigidity, as well as a 1-inch sandbag rail. 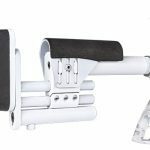 Its adjustable cheek rest is ambidextrous. 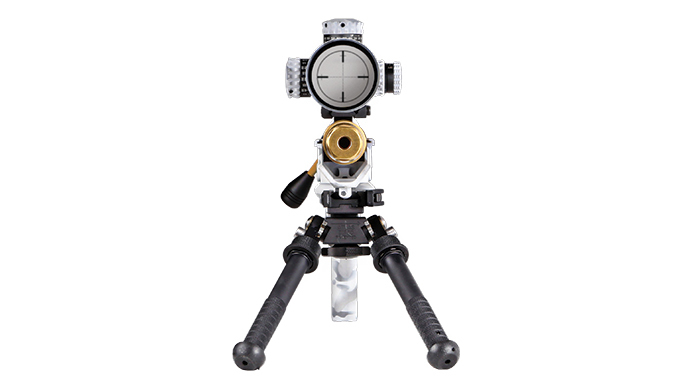 To stabilize the front end, a B&T Industries Atlas bipod with a quick-release ADM lever is attached. 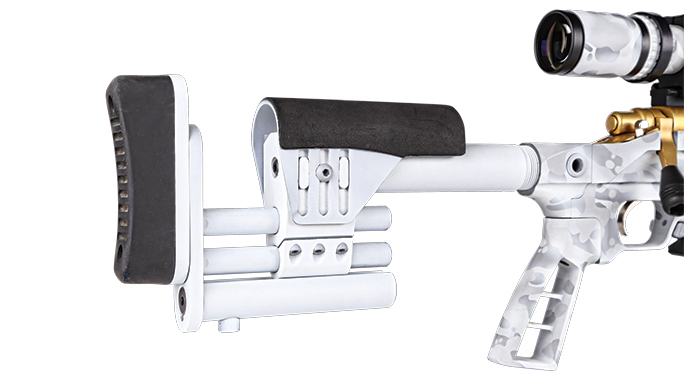 It allows for multiple leg positions and both pan and cant adjustments. At the tip of the barrel is a combination of Sig Sauer’s Micro-Brake and SRD762Ti-QD suppressor. The brake stabilizes the muzzle when the suppressor is not installed and reduces muzzle flip and felt recoil. 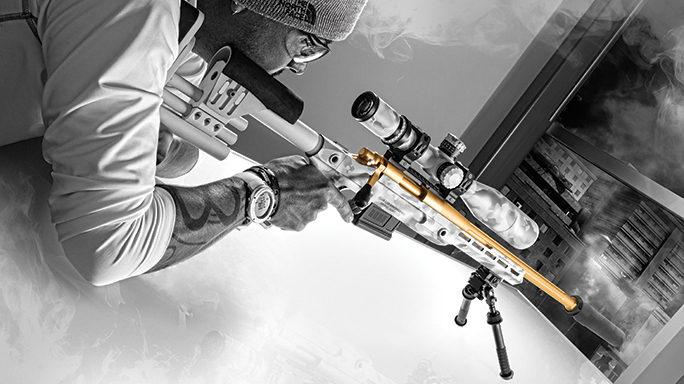 The SRD762Ti-QD suppressor is made of grade 5 titanium and has a 137 dB sound rating. Considering its size (over 8 inches long and 1.75 inches in diameter), it’s amazingly light, weighing in at only 15.8 ounces. 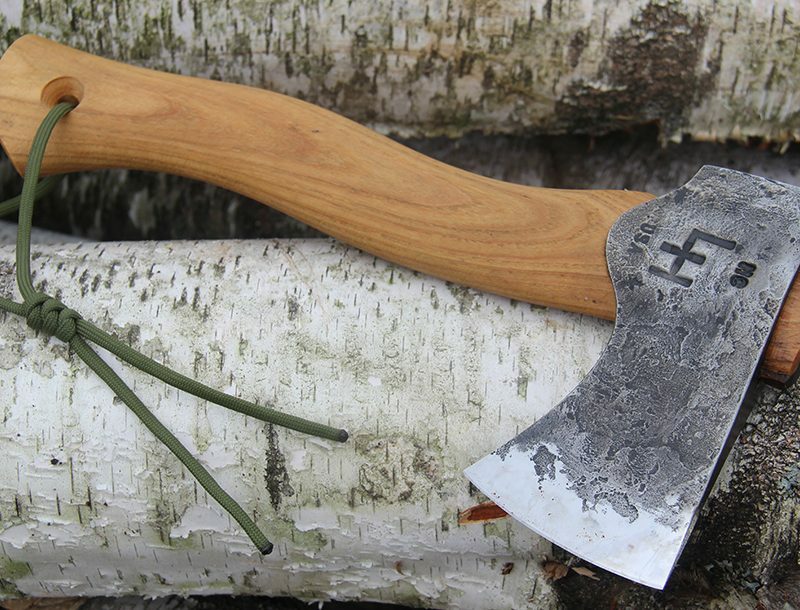 Many gun enthusiasts who are up with current trends will be familiar with the emergence of artistic renditions of pre-aged, themed or riffs of popular camouflage applied on guns and knives in durable Cerakote coatings. Making quite a name for himself, the artist known as Blowndeadline has skillfully coated items in many varying styles including everything from aged-bronze to Boba Fett–themed blasters. We asked him to coat this build in a winter MultiCam Alpine look, and as you can see, it turned out perfect. 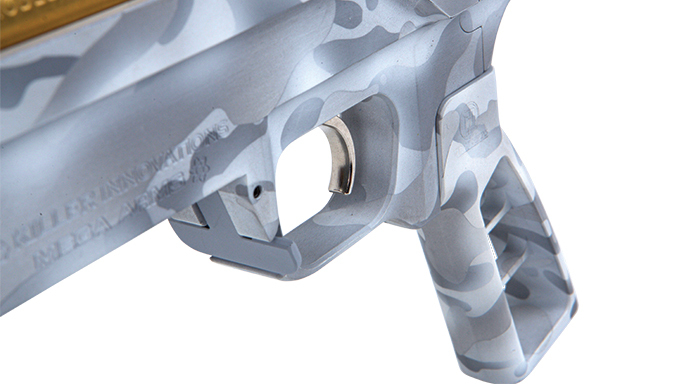 This Cerakote camo job is a mix of a bright white and custom gray applied over a hidden layer of white and sniper gray. The multiple layers of Cerakote are applied with the help of custom-made stencils. After all the stencils and layers of paint are finished, Blowndeadline applies the Cerakote C-Series Matte Clear to add an extra layer of protection. The gun and its parts are fit-tested before shipping to ensure there are no clearance or tolerance issues. Finally, it was time to go hot. Well, sort of. On a foggy, 25-degree Pacific Northwest day, I hit the range for some shooting impressions. 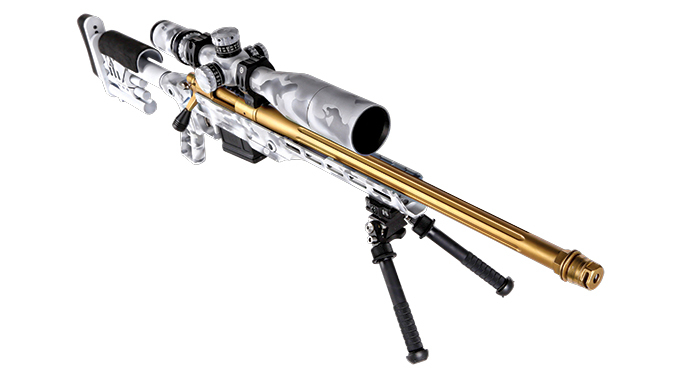 And yes, while I was there, several people complimented the unique look of the bolt-action weapon system and its TiN-coated barrel. 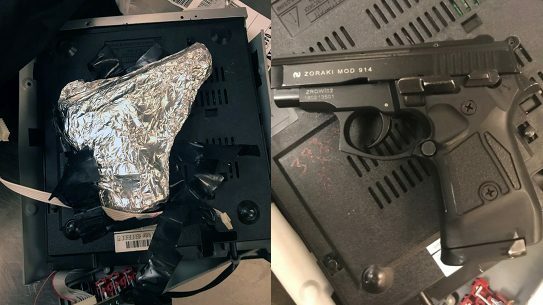 I loaded some magazines and got behind the trigger. Now when I tell you that my first shot on this 700 surprised me, it would be an understatement. The shot was on paper but nothing I would love to claim. 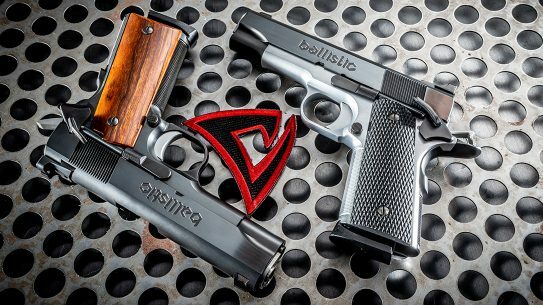 The Timney trigger was a great addition to the build, but at 8 ounces, the trigger pull can really surprise you. It seems like just breathing on it would fire the rifle. But the trigger pull was smooth and responsive. The reset was quick and almost unnoticeable, with little to no pre-travel. While I have not shot many precision rifles, I have shot my fair share of aftermarket AR triggers, and I honestly can say this is the best trigger pull to date. Just be prepared for that first shot. The Burris scope had very clear glass even at high power, with great focus and parallax adjustments. The eye relief was consistent, and I found the windage and elevation adjustments had distinct positive clicks that were very precise and easy to read. The G2B Mil-Dot reticle was easy to read, and with the ½-mil hash mark between the 1-mil dots, it allowed precise aiming, distance measurement and holdover. The Burris scope is well built, feels very durable and should be able to withstand the bumps along the way. 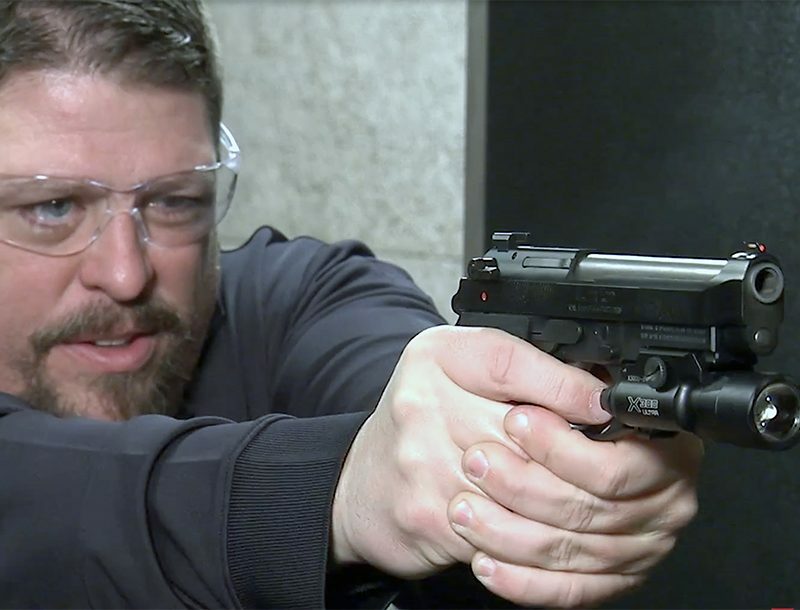 After shooting a few groups, I felt that the Sig Sauer Micro-Break as well as the weapon itself did a great job at managing the recoil, allowing me to keep the glass on target for follow-up shots. Due to certain restraints, however, I was unfortunately unable to test the weapon with the Sig Sauer SRD762Ti-QD suppressor for this write-up. Simply stated, the ORIAS chassis felt right. Its incredibly well-balanced, lightweight and simple design allows the shooter to focus on the task at hand. 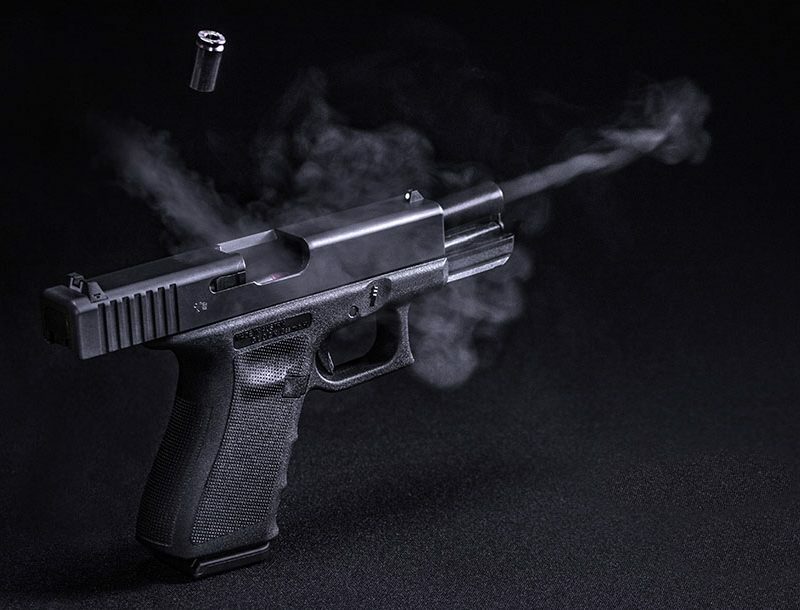 While the inner workings of the chassis are anything but simple, the shooter is not troubled with such details while putting rounds downrange. Its engineering’s consistency and reliability make for a worry-free experience. The 5R’s action with its TiN coating felt smooth and effortless. The oversize bolt knobs allowed for a solid, consistent push and pull every time. The XLR Industries Xtreme buttstock with its adjustable length of pull, cheek rest and recoil-pad height offered a perfect fit. The stock adjusted to exactly where I needed it, letting me fully connect with the weapon. The Tyrant Designs Nexus grip created a great ergonomic feel. Because of its design, I felt no fatigue while shooting. Using the aluminum grip in the cold without gloves was not ideal, but a good shooting glove would have solved the problem. Like everything else on this weapon, the Nexus is built with purpose. It will not crack, chip, fatigue or break, providing a durable, reliable piece of hardware and one less thing to worry about. While at the range, I used Gorilla Ammunition’s .308 Winchester 165-grain Sierra GameKing that has a muzzle velocity of 2,700 fps and muzzle energy of 2,790 foot-pounds. This ammunition features factory-new Federal cartridge cases loaded with Sierra’s excellent 165-grain GameKing projectiles. I walked away on this cold day with a consistent grouping at 0.5 MOA at 100 yards, while a few groups were slightly tighter. I would be lying if I said things weren’t a bit rushed at the range. After some time behind the gun sans gloves to get a good feel for the weapon, my body began to hate me. Precision shooting and the chills are not soul mates, but I did what I could. The gun performed great, and I believe could have done even better with less user interference. On a warmer day with more time to dial it in, I am confident the groups would be even tighter. I am even more confident in this weapon’s consistency and its ability to perform for even a rookie precision shooter like me. This is without a doubt an amazing build to shoot—and look at. The TiN-coated barrel may not be for everyone, but it has grown on me. The protective properties serve a purpose, and if nothing else, it’s a conversation starter. Most of us take pride in talking about our weapons and what we have done to them. Over a little gun chatter, we forge new friendships, keep alive the ones we have and create lasting memories with our children. But if you don’t like to talk to others, do avoid TiN. I was warned that once the long-range-shooting bug gets ahold of you, it would not let go. Shooting this gun proved that theory true. Though it may be a bit over the top for some, under all the cosmetics is a solid foundation of the 700 5R and the Mega Arms/Killer Innovations ORIAS chassis. Next year will most certainly see me start to build my precision rifle, perhaps using many of the same parts you have read about here. For more information, please visit Remington.com or MegaArms.com. Weight (Unloaded): 13 lbs. 1.6 oz.